Laura delivers an exceptional lesson experience and ranks in the top 15% of our teachers nationwide. Music is definitely the universal language, and there isn't a genre I don't love; it's important to me that that aspect be brought to lessons, as well! 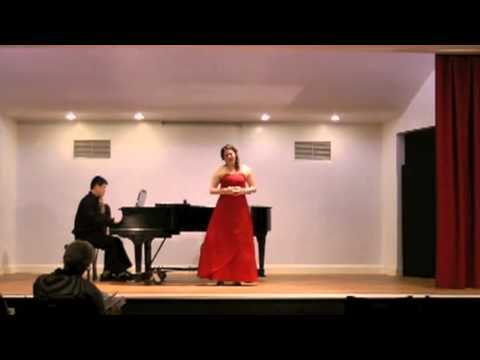 From humble New Jersey beginnings to an opera career, I've seen the power of what music can do! Whether it's opera, musical theater, folk, rock, or just public speaking, anything YOU love to do, I would love to teach you! Having taught all ages and levels, from first graders to adults, from someone who's never sung a note in his or her life to semi-professionals, I cater my lessons to what YOU as a student need and are interested in. Lessons shouldn't be a chore - I like to foster an environment you look forward to being a part of! I also think that music, like any sport, is hard work, and takes seriously practice; even hobbies take concentration and application! I understand and can work with many schedules and work loads, but I expect my students to put at least half the effort into their lessons that I do! As a voice teacher in my own studio, I've striven to make every student comfortable in a challenging environment! I've taught everyone from professional opera singers preparing roles to pop recording artists preparing their albums, from children learning to sing for the first time to adults with vocal health issues. I've also taught in rented studio space, in students' homes, and in my own home teaching studio. Sigma Alpha Iota is a professional International Music Fraternity for women. Formed to uphold the highest standards of music and to further the development of music in America and throughout the world, it continues to provide musical and educational resources to its members and the general public.Sigma Alpha Iota operates its own national philanthropy, Sigma Alpha Iota Philanthropies, Inc.
She is awesome! Very professional. I had fun learning with her. She’s great! I love the way she tech me. Laura is a great teacher! Her lessons are fun and super helpful. Would definitely recommend. Laura is a wonderful voice instructor! You can tell that she is very knowledgeable about music and voice overall. She makes my lessons very fun, but also informative at the same time. They are not just technical lessons about how to sing. Laura incorporates different teaching styles to accommodate her students' way of learning, and also works with you on the style of music you prefer. The only thing I hope for more of out of my lessons is to have more time singing, but I am a beginner and Laura makes sure you strengthen your foundations first in order to support your voice! Laura is absolutely fantastic! She will work with you on your singing voice from the ground up. As someone coming in with a bit of singing experience already, it is SO GREAT to revisit the basics, and to work with someone who is so invested in helping you find the healthiest version of your voice. I am looking forward to taking more lessons with her! Laura was wonderful with my daughter, she is very professional and personalized her lesson expertly. Learning to sing for the first time, Laura makes it fun and comfortable! Would highly recommend. Laura is a special teacher and a special person. My child started out at age 12 with a passion for singing and needed to learn technique and discipline. Laura gave her that along with supportively connecting her life to her art, all through middle school and through a well-known performing arts high school. I can’t praise her highly enough. Laura Kay has been my voicd coach for almost 10 years, when I lived in Ohio and then I moved to NYC and was so glad she ended up moving here for her career as well. 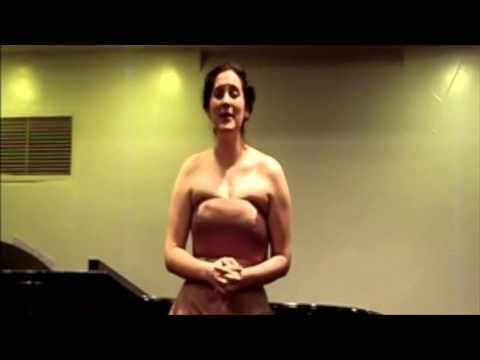 I had tried a few voice teachers here in the City and none of them were as good as Laura. She is an objective teacher and uses multiple methods of teaching depending on the student's needs and this is very hard to find. I am now a recording artist and never hesitate to contact Laura for emergency situations whether I need to record a complicated song or do a challenging showcase. Plus she is funny, makes you feel comfortable! Not only you learn a lot but you also have a great time. I'm a complete beginner, could barely sing in tune. I decided to take lessons for fun. but whoa was i surprised at the progress I've made with Laura in just a few short months. She has catered to my individual needs, and has made my learning experience fun. She works at my pace so i never feel rushed or bored. She teaches singing lessons in a way anyone can understand. Her background in opera means she can sing and teach her students amazing vocal range. She taught me anything is possible with hard work and dedication! I've learned so much with her, it's hard to put it all in a short review. Pick her and you won't be disappointed! Thank you Laura! Good teacher. Nice person. Very busy lady. Laura gives very helpful tips and exercises that help me improve on my breathing as well as control the different registers of my voice. I've learned a lot with Laura as my teacher and she makes the experience enjoyable for the both of us. One thing that would maybe improve our weekly lessons would be more warm up time before the actual singing, in order to get my voice ready and controlled even more for the lesson. Overall, Laura is a great vocal coach! laura is a wonderful teacher. professional yet warm, patient and very encouraging. her "you can do it" attitude makes one want to go home and practice. i look forward to each class with her.